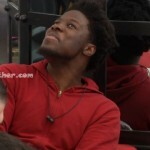 9:58pm Backyard Random chit chat..
Kevin jokes that his sister has the same facial structure as Pilar.. If you could change one thing in history what would you change, Sarah – prevented the assassination of Martin Luther King. Bruno’s is to have one of Hitler’s assassination attempts be successful. Willow gets upset telling a story about her boyfriend that was gay. 10:40PM two groups of houseguests Kitchen and backyard chit chat. Waiting for midnight so they can have Jonny’s surprise party. Willow tells him she thinks they are in a really good position she doesn’t think they are targets. 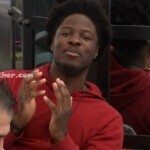 Zach agrees says he’s got her back. Zach thinks they can have Graig and Naeha “T-OFF” the problem is Bobby wants to save Graig. Zach adds that Naeha is scared of Willow because her social game is so strong. Trivia.. who is on the 5 dollar bill.. etc etc..
Ashleigh and Cindy boogie down. Pilar – I love it.. I love it love it love it.. you have a nice bod. 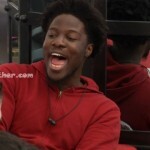 Godfrey doesn’t want ; Sarah, Neha, Willow and Johnny to win HOH. Bruno feels the same way. They agree Naeha is Dangerous. 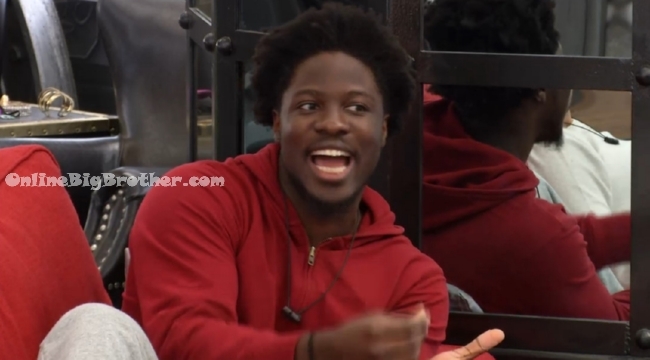 Godfrey mentions on the US show the fans vote on what the have nots eat, says they got to eat Pig ears. Godfrey – Cockroaches are disgusting bro at least with Donkey D1ck bro that’s meat.. I really like Willow, I think she’s got some game but I hope her huge thing for Zach doesn’t get in the way.. I absolutely enjoyed that birthday ceremony, so funny! And I kind of like Willow! I know a lot of you on here aren’t a fan, but she’s grown on me. Personally my faves are: Brittnee, Sarah, Willow, Kevin, and Naeha. Not a fan of Ashleigh or Graig. The rest are just meh. I actually really like Johnny, esp after today. I have the live feeds, but is there no archive feature at all? like there was a calendar for bbus that you could choose a previous date. 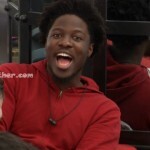 I want either Jordan or Kevin to win because they love RHAP. The feed seizures are hilarious! It’s like how many ways can we shoot Godfrey and at how many angles.